LawBreakers publishers Nexon have written off the entire value of the hero shooter, and blamed its failure – at least partially – on PlayerUnknown’s Battlegrounds. What else could have gone wrong? Check out Cliffy B’s competition: the best shooters on PC. In a Q&A session with investors, Nexon’s CFO Shiro Uemura says “we will not be accruing any other impairment loss pertaining to Lawbreakers in the future.” Impairment loss is a decrease in an asset’s book value that is greater than its predicted cash flow, so for Nexon to say they will not incur any further such losses means they have written off LawBreakers’ value on their balance sheet. 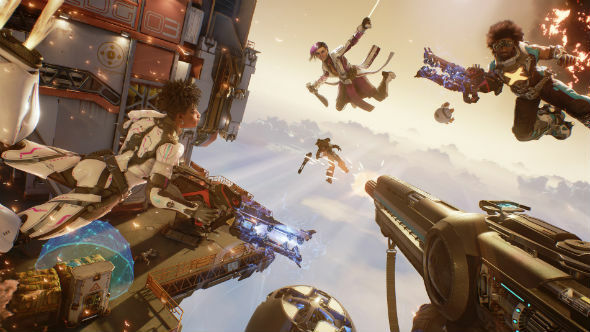 Nexon didn’t say exactly how much money they lost on LawBreakers, but said it “accounts for the majority” of their Q3 expenses, which totalled roughly $32.6 million. PUBG isn’t an obvious competitor for Lawbreakers, as they’re very different types of shooter. Still, there is at least some overlap in their audiences, and such was the scale of PUBG’s success that perhaps it cast a wider shadow than one might think. You can peruse Nexon’s quarterly financial presentation here.